Improper use of internal linking can result in an algorithmic penalty from Google. At best poor internal linking means that a site will not benefit from the advantages of optimised internal links and may not be crawled properly. Internal linking is not difficult to understand or get right, but there is some nuance to it that makes it well worth understanding properly. Probably most obvious are how internal links facilitate website navigation... Unless a website has just one small page, internal linking is required to provide the mechanism for users to move between pages. All website navigation relies on this to work; therefore, internal links are one of the most prevalent components throughout a website. Links also assist robots or crawlers in crawling your website, allowing them to identify the location of all your web pages. Hence website navigation should address both the need of the human and machine. Each link on a page allows PageRank to flow through it to the page being linked to, thus website authority is disseminated through its links to its pages. Page authority (or PageRank) that flows through each link, is dived by the number of links on a page. So, if a page has 100 links, then each individual link passes on 1% of the available page authority. Or, if a page has 1,000 links, then each individual link passes 0.1% of the available page authority. The reason why we state ‘available page authority’, is because if a page had only one link on it, this will be able to pass on between 85% to 90% of the PageRank. Meaning that the upper limit to how much PageRank can flow from one page to another is capped under 100%. Hence if a page has 100 links, each link will pass on between 0.085% and 0.09% of the actual PageRank. This is why internal linking strategies are so important, because the links act like valves and pipes distributing authority to where it is required. In the similar way to how authority flows through a link, so does relevance. The difference is that there is not finite amount of relevance that can pass through a link. Instead of a volume of relevance, it is contextual and limited to what text (or Alt tag in images) is being used. Using relevant anchor text (described later in this article) can assist in delivering relevance (to a keyword) to a target page. This is done by optimising anchor text to target keywords. Flat Structure: If every page of this 14 page site were linked to an equal number of times, this would indicate to Google that all of the pages are roughly of equal importance. This would describe the home page as the most important page, then the category pages, then the sub category pages. This would describe the sub-category pages as the most important, then the category pages, then the home page. 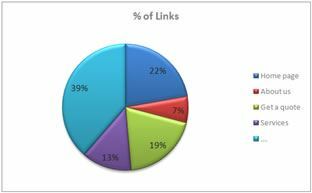 Remember that what we are describing here is how the PageRank is distributed among the pages through links by looking at the number of links each page has as a percentage of the total internal links on the website. There are other factors that will determine what the actual PageRank is of a page outside of this. So even with a reverse pyramid structure you may still find that the home page has the most authority. As described above, the ratio of internal links to each page on a website helps to define the priority of webpages to crawlers. Mapping out all of the links to each page of a website helps to understand what this structure is and how it might be informing Search Engines of webpage priority. There are a number of tools such as Raptor that can crawl a site and provide this information. 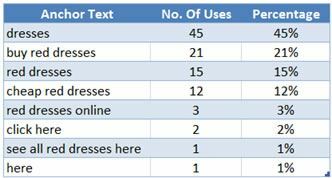 Once you have this data, you can start to analyse it, putting this in a table (see example below) helps you to see what pages are linked to most. The below table is a truncated and basic example of how to map out internal links. *To calculate the ‘% of Links’ cells, simply divide the ‘No. Of links’ for a page by the total ‘No. Of links’. It can also be useful on larger sites and ecommerce sites to group pages together and look at the aggregated data for these groups. For example, grouping pages into products, services, informational, blog, etc can provide a good top level view. What this means is that, on average, each page that links to the home page has 1.17 links to the home page on it. As mentioned elsewhere in this article, Google only counts the first link to any one place on a page... So in a scenario where a page has a lot of links, but few linking pages, you would not rank this as a priority page. The internal linking diagram below is a visual map of the internal linking structure of a site, these can become large and complicated the more pages are included. These can be useful when analysing a site’s navigational structure and to understand where links are coming from, this can often be difficult to show in any functional way in a spreadsheet. Equally diagrams can become cumbersome for practical usage by an SEO after a point, thus a blend of visual diagrams and tables can help build a complete picture of the internal linking structure. Once the site has been mapped out, you can begin the process of defining a new internal linking structure. Setting out the ratio and number of links to each of the pages on a website. Mapping and tracking these metrics can help you to identify the cause of certain issues that can arise. If for example you notice a drop in rankings for a group of pages and you can correlate this with a significant change in the ratio of links to those pages; you may be able to establish causation and implement a solution. As described above, internal linking distributes PageRank throughout the site; and PageRank is a major ranking factor. Therefore, creating an internal linking strategy relevant to the website goals and objectives is critical to maximising website performance in the SERPs. In short, well structured internal linking will improve rankings and poorly structured linking will impede rankings. There are a lot of places from which you can link from on a website and also different ways of modifying links to produce a different effect, we describe each of these below. All websites should have a main menu for navigation and / or a sidebar with additional navigational options. Typically, the main navigation is replicated on every page of the site and remains consistent throughout. Secondary navigation can vary to reflect the section of a site in which it is located. Main navigation should ideally provide the most comprehensive navigation for users, often linking to all 1st tier pages. For more information on website navigation please follow the link. Please follow the link for more information on footer links. Note that this defines where a page sits within the site and assists the user navigate (back) to related content one level up from where they are. There are a number of benefits to using breadcrumbs outside of the user experience, especially when using structured data to mark-up the breadcrumb code. This can actually act as a description of site structure for Search Engines, even if the URL structure were flat (all page located after example.com/). Please follow the links for more information on Breadcrumb Navigation or Breadcrumb Structured Data. Contextual linking is when a link sits within relevant content on a page. As with this article you can see that we link out to other pages from within the main body of content... This is called contextual linking and it each link therefore sits within the context of the content that surrounds it. The more relevant the content is to the page being linked to, the more relevance flows through to the target page. The more relevant a link is the more powerful it is for improving rankings. Additionally, this also provides relevant information to users, at the point at where it is most relevant for them (if done well). Home Page = This is how it would appear on the page (note that the nofollow tag does not change the appearance of the link). Nofollow links are more often used for external links (links to other websites), there is little need to use nofollow links when linking internally. Here is what Google have to say about the no follow attribute. We discuss this topic in more detail in the external linking article of this knowledge base. Nofollow internal links can be used to limit PageRank flow to pages that you do not need to deliver PageRank to like login pages or pages that you do not want indexed. Use these sparingly as there is little benefit to creating nofollow links on scale throughout a website. In 2009, Matt Cutts discussed this topic, you can watch the video here. When the Alt Tag and Anchor Text are equally optimised for the target keyword; an image link will typically pass on less relevance to target page, but equal amounts of PageRank compared to text links. This is one of the main reasons why we recommend using text links in website navigation rather than images. That said images often provide a different set of advantages, for example; images stand out on a page and draw people’s attention to offers, or other valuable content that you want to promote. As such image links are often implemented for different reasons, but they can also be coupled with a text link to the same page with optimised anchor text. Sitemaps provide links to every page on a website (that you want to be either found, indexed or both). HTML sitemaps assist the user navigate and XML sitemaps assist robots crawl your website. Please follow the links for more information on HTML Sitemaps or XML Sitemaps. In the above code you see “Home Page” this is the anchor text for that link and this is what will be visible. The styling of links varies between sites, but typically they are underlined either permanently or on mouse-over. Identify keywords (targeted by web pages) throughout your website’s content and turn the text into a link to the page targeting that keyword. For example: when keyword relevant to another webpage is mentioned on a page, use that term to link to the relevant page. 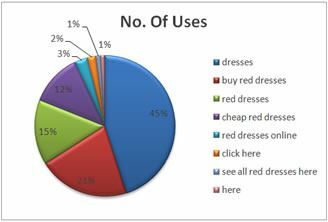 This improves the relevancy of the target page to the keyword it targets. Only in extreme cases are you likely to incur some kind of algorithmic penalty from Google as a result of unnatural anchor text usage, though it can happen. http://www.example.com.au/page.html - Absolute link (includes everything from ‘http’ onwards. Whether a link is absolute or relative is not a direct ranking factor, the primary reason for using absolute links is that relative links can cause certain problems for the SEO of your site. Although not a common issue, relative links can lead to indexing problems and crawling problems. Because staging sites frequently use relative links due to the nature of a ‘staging site’ it is often overlooked when launching, but these should all be changed to absolute URLs. Crawler Time: Google wants to spend as little time as possible crawling a website, so the easier you make this for them the more likely you are to have your website crawled more efficiently. Duplicate Content: Using absolute URLs can help prevent duplicate content issues, especially when linking from canonical tags. This also creates consistency across the site which helps to reduce multiple URL’s from being indexed for the same content. Prevent Errors: Indexing errors can creep in when relative URLs are used, in the worst cases we have seen infinite loops and exponentially growing volumes of errors stacking up in Google Webmaster Tools. Absolute URL’s help prevent this type of error from occurring. You should not use custom tracking parameters such as UTM code on internal links as this can cause all kinds of problems in Google Analytics. As mentioned above, absolute URL’s should be used whenever linking to any page or resource on a website. Before 2009 there was good reason to keep the number of links on a page to fewer than 100, due to limitations with Google’s ability to crawl more than 100Kb pages. This limit has increased with the increasing file size of web pages over the years. Hence you are unlikely to have a paged truncated when being indexed due to there being too many links. As always there is the common sense component to this, thousands of links on a page are at best unnecessary and many may be ignored if the page is consequently too big. There is no advantage from an SEO or UX perspective to have this many links on a page. We have previously discussed the way in which PageRank flows through links; the more links there are, the small the flow of PageRank through each link. Therefore, it follows that keeping the number of links to just what is necessary for the User is a good rule of thumb. Matt Cutts discusses this topic and supports what we say in this article, you can click here to see the video.